Another rumour has been on the internet that Infinix is about to release another device called Hot S. The specs of this phone will be cool. As we all know that rumors of phones are always 90% true. As i am seeing this smartphone, it will have a design similar to that of the Infinix Zero 2 but the difference is that, its coming with a metal body. 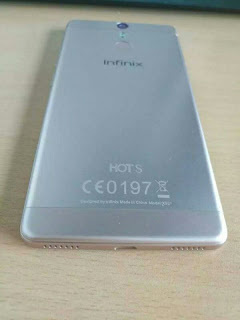 Infinix Hot S will be coming with an 8MP front facing camera with LED flash. MediaTek Helio X10 processor, 3GB of RAM, fingerprint scanner, VR technology among other features. This smartphone will be pre-loaded with Infinix XOS custom user interface. Whats your say about this smartphone?